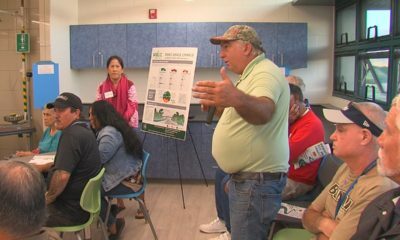 WAIMEA, Hawaii - School officials say the new Science, Technology, Engineering, Arts/ 'Aina and Math facility will challenge students to solve real-world problems – collaboratively. Governor David Ige and his wife Dawn join other elected officials at the dedication on Monday. (BIVN) – Monday was a big day for Waimea Middle School, as the long awaited, $15 million STEAM Learning Center was dedicated. 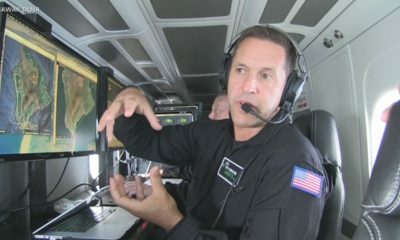 Officials say the new STEAM (Science, Technology, Engineering, Arts / ʻAina and Math) facility will challenge students to solve real-world problems, including Rapid ʻŌhiʻa Death, the fungal disease killing native ‘ōhiʻa forests on the Big Island. Public policy officials and community leaders from across the state joined several hundred Waimea Middle School 6th, 7th and 8th grade students, their teachers, staff and families to formally bless the new two-story, 9-classroom STEAM Learning Center Monday morning, Jan. 8, 2018. 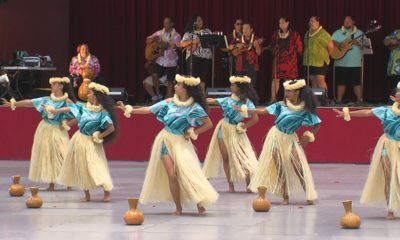 The dedication incorporated traditional Hawaiian protocol chants, an ʻoki piko ceremony symbolic of the birth of child with the cutting the umbilical cord, introduction of a student-proposed name for the building in lieu of the Department of Education “Building Z” designation, a formal maile and kukui lei untying and planting of an ‘ōhiʻa tree in a place where – in pre-contact times – a dense ‘ōhiʻa forest once flourished. Gov. David Ige and wife Dawn, State Sen. Lorraine Inouye, State Rep. Cindy Evans, Mayor Harry Kim, County Council Chair Val Poindexter and North and South Kohala Councilman Tim Richards participated in the dedication, along with members of Waimea Middle School’s local school board, Hoʻokakoʻo Corporation. 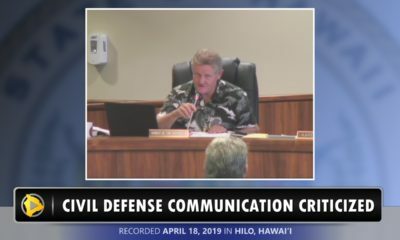 Also attending were Hawaiʻi Island’s Board of Education member Patricia Bergin, DOE’s Complex Area Superintendent Art Souza. 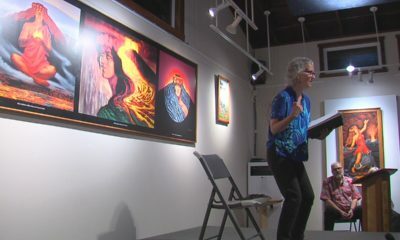 Special guests included former State Sen. Malama Solomon, PWO Navigator Chadd Paishon and Kahu Billy Mitchell. After the dedication, students entered the new learning center for the first time and then families and community members toured the building, which includes a makerspace, demonstration lab, science laboratories, general classrooms and an outdoor amphitheater that is connected to the adjacent Mala’ai School Garden. “We are deeply grateful to so many for making possible this “gift” to the children of Waimea,” said WMS Principal Amy Kendziorski. The building is the first major new public school facility in nearly 30 years for Waimea. “This is a long-time dream come true, and we thank everyone who helped. It’s also a statement of trust that our teachers and staff know what they’re doing and deserve this kind of public support. We are already seeing this new building inspiring relevant, project-, place- and culture-based STEAM teaching and learning. It’s very challenging, and our teachers are excited about and grateful for this opportunity,” she said. To emphasize the importance of STEAM teaching and learning, Gov. 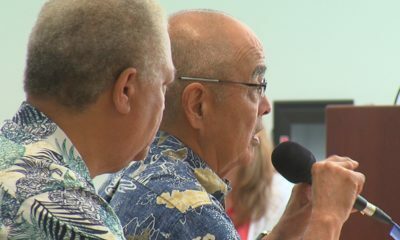 Ige used the occasion to announce release of $1.25 million to help Hawaii Island fight Rapid Ohi’a Death. He challenged the students to help today’s scientists and forest experts find a solution to ROD, drawing on their innate curiosity and using team problem solving along with the STEAM skills they learn in this new building. Another highlight of the program was a presentation by students of the cultural lesson of the ‘aha – hand-braided cordage that binds together the strengths of each and every contributor. 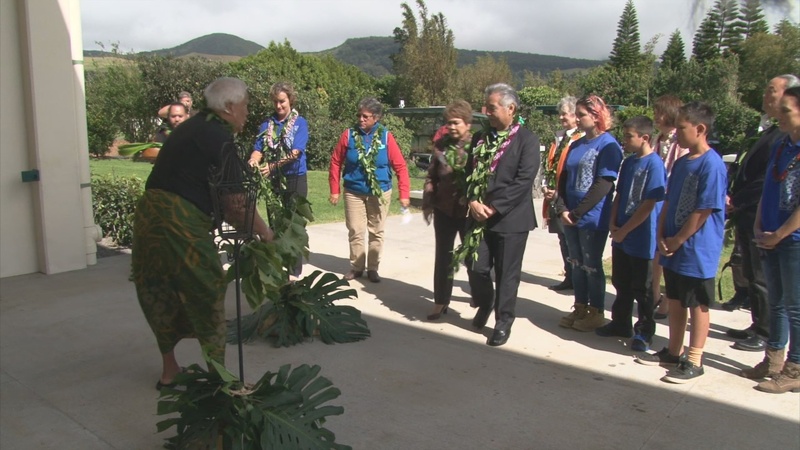 Every student, teacher, administrator and staff member, many family members and the school’s Local Advisory Panel and Ho’okako’o Corporation helped create the ‘aha presented at the dedication. “The kaona, or deeper meaning, of the ‘aha reminds us that progress requires the commitment of many to ensure success for all,” Principal Kendziorski said. For questions, please call WMS Director of Development Patti Cook (937-2833). For more information about the school and STEAM Learning Center, go to WaimeaMiddleSchool.org for like the school on Facebook.